The 2010 Smithsonian Folklife Festival, considered the biggest folklife festival in the US Capital after 15 years, featured the Philippine culture last June 25, 2010. The Migrant Heritage Commission (MHC)’s Fil-am dance ensemble and the Northern Virginia rondalla represented the Filipino community. They presented five cultural suites in a special evening showcasing the best of Filipino culture. The dance ensemble is composed of performing arts talents from various groups in Virginia and Maryland. The MHC also invited other Filam cultural groups around the area like the BIMAK, ANJIN PRECIZION, YOYO and others. Washington, DC—The 2010 Smithsonian Folklife Festival, considered the biggest folklife festival in the US Capital after 15 years, featured the Philippine culture last June 25, 2010. The Migrant Heritage Commission (MHC)’s Fil-am dance ensemble and the Northern Virginia rondalla represented the Filipino community. They presented five cultural suites in a special evening showcasing the best of Filipino culture. The dance ensemble is composed of performing arts talents from various groups in Virginia and Maryland. 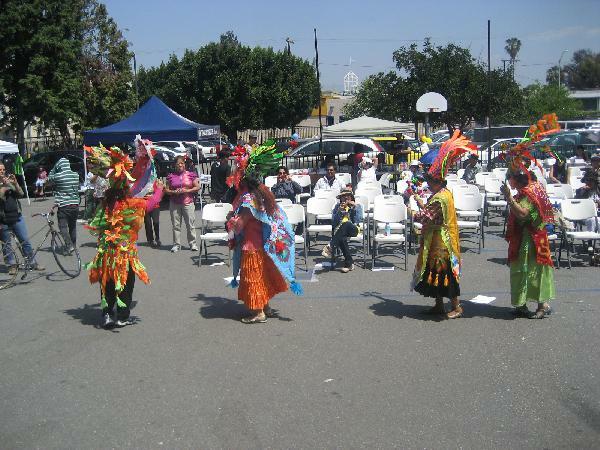 The MHC also invited other Filam cultural groups around the area like the BIMAK, ANJIN PRECIZION, YOYO and others. The cultural presentation was well received and people enjoyed the show after 15 years of absence. The MHC Ensemble group’s artistic director is Grace Valera-Jaramillo. Other Fil-am participation in the 2010 Smithsonian Folklife Festival includes storytelling, martial arts demonstration, Filipino cooking demo. The events will last from June 25 to July 4, 2010.